In most states it is not required to have a pinned and welded muzzle brake or flash hider. Only a few require such so as to prevent a firearm from having a threaded barrel. Usually that requirement is made so that you can’t easily attach a silencer to the firearm. Without much surprise you can get suppressors that work with muzzle brakes for quick detach features. Making this all really a silly thing in the big picture. So besides those states why would you ever pin and weld a muzzle brake onto your gun? Unfortunately it’s all because of a minimum length requirement. Having a barrel less than 16 inches on a rifle turns its classification into a short barrel rifle. Which would need a $200 tax stamp from the ATF to legally own. To avoid the firearm being classified as a short barrel rifle, folks will pin and weld onto it a muzzle brake to bring its length back out to the 16 inch minimum. Less accuracy, a longer barrel will always reduce your cone of fire thus making it more accurate. Less velocity, most rifle cartridges are based around a 16 or 18 inch barrel. Being less than that means less powder is being burned and used. Barrel material, some barrels simply can’t be cut down due to what they are made of and how they were heat treated. It could potentially introduce cracking, flaking, or even damage to barrel linings. Uneven twist rates, cutting down a barrel or picking a shorter than normal barrel length for that twist rate can make the bullet unstable in its flight, creating wider shot groups or even keyholeing (the bullet hitting the target sideways). Disruption to natural barrel harmonics, resulting in opening up shot groups. 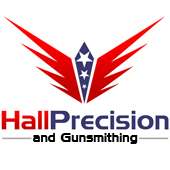 Usually customers don’t mind a little loss of accuracy or a bit less distance in the capabilities of their gun. But the last few mentioned is something critical to keep in mind. Some barrels are very specific in how they are tuned, in materials, twist rate, heat treatment, and barrel profile. Disrupting the design of the barrel by cutting it down can have major effects to it, including a possibility of baffle strikes inside of a suppressor if you attach one. So the real question comes down to what do you have to gain from cutting a barrel down? The only reasons we get is that someone wants to mimic a certain style of firearm such as an M4, or want a little bit shorter gun to transition from inside a vehicle to outside but want to stay to minimal legal lengths. And there is no problem with that! But we always strongly encourage getting a barrel specifically made to such a length instead of cutting one down so that you can get the highest quality results out of it. Barrels made to be the often needed 14.5 inches will have an optimized twist rate, the harmonics shifted with changes to barrel contour profiles, through barrel coatings inside and out, and correct tempering and heat treatment of the barrel for that length. Several factors that will make it shoot circles around a barrel that has been cut down. Long story short, it’s cool if you want an Mforgery (reproduction m4) but spend a bit of extra money and get a barrel that is made at the factory specifically to be used for that application. One of the most common things customers come in and ask for us to do is to lighten the trigger pull of their firearm. It’s such a common request and desire that alot of people think it’s something as simple as just pulling the parts and putting them on a buffing wheel. However if it was just that simple we wouldn’t be offering it as a service that we charge for. As mentioned above, people think that adjusting a trigger pull is a fairly simple process that is just a basic stoning or polishing of a trigger. While there is polishing and stoning involved you can’t just go at it wildly and it’s not the single greatest effect on a trigger either! See the trigger on a firearm is composed of very specific angles that the designer put in place to ensure the safety and smooth action of the firearm. Staying to those angles and specifications is key when you polish or stone a hammer, sear, or other trigger components. If you change those angles the trigger pull can get harder or easier. However there are a few factors on this. If too much material is removed, the sear might not engage at all, thus the firearm won’t fire or even worse could go off when not intended to! Additionally, some triggers components are what is called surface hardened, where only a very thin portion of it is hardened and the under laying metal is softer. With that scenario only so much material can be removed, as taking away more will lead to a nice trigger, but over time the trigger will wear down too quickly, causing to become dangerous or the trigger pull to become worse. Even more so, if you use a polishing wheel you can bring the temperatures up higher than they should be for some components and damage their overall integrity for the long haul, or quickly remove that very thin surface layer of hardness, or even coatings applied to them. Many facing surfaces are so small that they must be polished by hand with fine tools to ensure that surrounding areas are not effected or changed. Usually it’s just a few strokes that are needed from a stone to smooth them out. So it’s simple right? Stick to the specifications, don’t take off too much, and with a few strokes of a file and a bit of polishing you can take off pounds of trigger pull weight? Not… quite… See reshaping, stoning, and polishing internal components only go so far. Sometimes the components when they are mass produced are just way out of specifications to the point that they need to be replaced. But the bigger factor is what people overlook the most, the springs themselves! You can polish and clean up the parts all you want, and you will end up with a cleaner feeling trigger that might be a pound or so lighter depending on the gun (some it’s a massive change). However if you are shooting a double action revolver, it’s the mainspring you are fighting the most. Each trigger pull that spring must be compressed. Depending on the gun you could have a 15-20lb main spring you need to fight against. On top of that, you have trigger return springs, rebound springs, firing pin block springs, disconnector springs… all sorts depending on the style, brand, and model gun you have. Each one of those creates more weight that you have to apply to the trigger to pull it. So the fix is simple you would think right? Stone, polish, reshape, and put in a bunch of lighter springs and you have the best trigger ever! Mostly true, because if you put in too light of a spring for example on your mainspring or striker spring (the one responsible for applying force to your firing pin impacts) you end up with light primer strikes. At which point now your gun is unreliable. You can do the same thing to other parts like your firing pin blocks and disconnectors. If the springs are too weak, they could get stuck in the blocked positions or unlocked positions depending on the design of the gun. Which means you have a potentially unsafe firearm. As you guessed it’s about having the right balance in your firearm. Cleaning, stoning and polishing components will always make an improvement, usually just a pound or two in the grand scheme of the mechanical working. However many of our customers want several pounds taken off the trigger pull as they might not be strong enough to manipulate it, or want something for competition. This is what replacing the springs in the firearm will accomplish. When you combine the two efforts together, you can accomplish wonderful trigger pulls of 1.5 to even 2.5 pounds on most production run firearms without the need of modified trigger bars, sears, hammers, etc. Many people want this level of lightness in a trigger but have concerns on reliability or even fears of accidental discharges. If the job has been done by a competent gunsmith and you have put one or two hundred rounds through the gun after the job was done, reliability is not going to be a factor, it’s going to be how comfortable you are with carrying a lighter pull firearm. Finally, it comes down to this, just how comfortable are you going to be with carrying a firearm that has it’s trigger modified to be lighter. We hear many issues on this, the two largest is will there be a legal issue if used in self defense, and is it too light to be used for self defense. Both of these are questions you need to really ask yourself personally. However our logic on it is this: If you use a firearm in self defense you went and pulled out a lethal means of self defense and pointed it at a perpetrator. That alone means you had the intent to shoot the bad guy, more so if you pulled the trigger you definitely intended to shoot him/her regardless of what the trigger pull is. Which brings me to the next point, that through training you should learn to keep your finger off the trigger until you are on target and ready to shoot, so regardless of the trigger pull your finger shouldn’t be on the trigger until you are sure of the target and want to shoot. If you are not confident in your level of training and skill to not have your finger on the trigger before you identify the target, not only should you not get a trigger job done on that carry firearm, but you should be looking at spending that money on more training and practice.